NEW YORK,, June 12, 2018 /3BL Media/ - American Express and World Monuments Fund (WMF) today announced $1 million in funding to support preservation efforts at eight endangered cultural heritage sites included on the 2018 World Monuments Watch. Potager du Roi in Versailles, France; Grand Theater of Prince Kung’s Mansion in Beijing, China; the town of Amatrice, Italy; Kagawa Prefectural Gymnasium in Takamatsu, Japan; Tebaida Leonesa in León, Spain; Blackpool Piers in Blackpool, England; Matobo Hills Cultural Landscape in Matobo, Zimbabwe; and Monte Albán Archaeological Site in Oaxaca, Mexico. The World Monuments Watch works with local communities to bring their treasured cultural heritage sites to an international stage. Announced in October 2017 with founding sponsor American Express, the 2018 Watch includes a diverse group of 25 sites spanning more than 30 countries and territories that face daunting threats or present unique conservation opportunities. Over the past 20 years, American Express has given nearly $18 million to help preserve 166 World Monuments Watch sites in 71 countries. It has also partnered with a number of leading organizations to help preserve sites in need, build awareness, and engage the public in preservation efforts across the world. Through these partnerships and other individual grants, American Express has granted more than $60 million to support hundreds of preservation projects. The historic kitchen garden of the Palace of Versailles was created more than 300 years ago to fulfill King Louis XIV’s vision of creating the most impressive palace in the world. The garden has been at the cutting edge ever since, introducing new microclimates and methods for producing harvests in and out of season, and developing hybrid fruits and vegetables. Today, stewards of Potager du Roi are looking for new ways to engage visitors and address maintenance challenges. The Grand Theater at Prince Kung’s Mansion is the largest and only imperial mansion theater open to the public in Beijing, China. The theater was added to the celebrated eighteenth-century residence as part of a pleasure garden, staging plays and entertaining guests. Today, the residence operates as a museum and the theater continues to be used for performances. Funds will be used to build an international, scientific conservation partnership aimed at recovering the original appearance and historic authenticity of the theater during Prince Kung’s era. 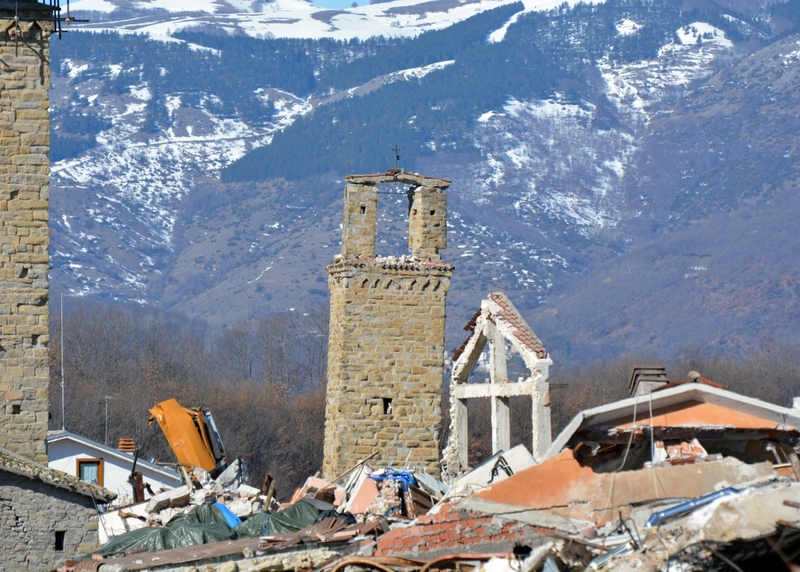 The hill town of Amatrice, Italy, suffered a series of devastating earthquakes in 2016, destroying the majority of the town and causing 299 deaths and approximately 400 injuries. Amatrice was included on the Watch to bring awareness to its state and the need for better disaster prevention and preparedness. Funds will be used towards restoration efforts at the Museo Cola Filotesio, whose bell tower survived but requires comprehensive stabilization and conservation. 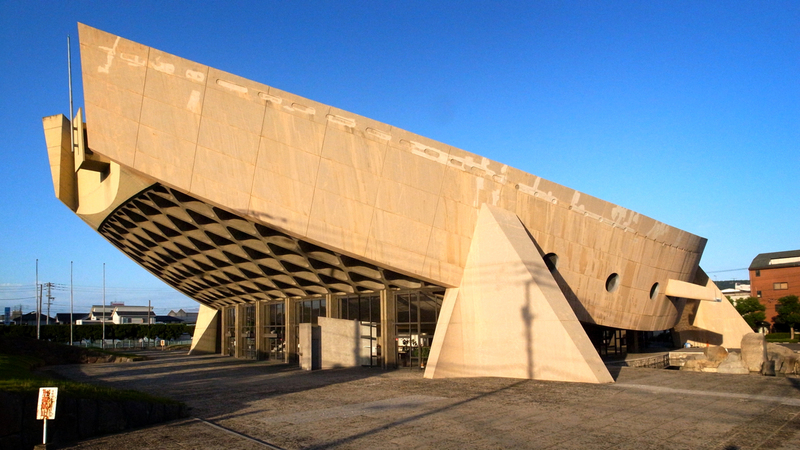 The beloved modern landmark was built by renowned architect Kenzo Tange in the 1960s and hosted local sports events for 50 years until its suspended roof began to leak. The facility was closed to the public in 2014 as a result of these structural issues; it also no longer meets current gymnasium requirements. Funds will be used to support local advocates in their campaign to preserve and repurpose the structure to meet a community need. 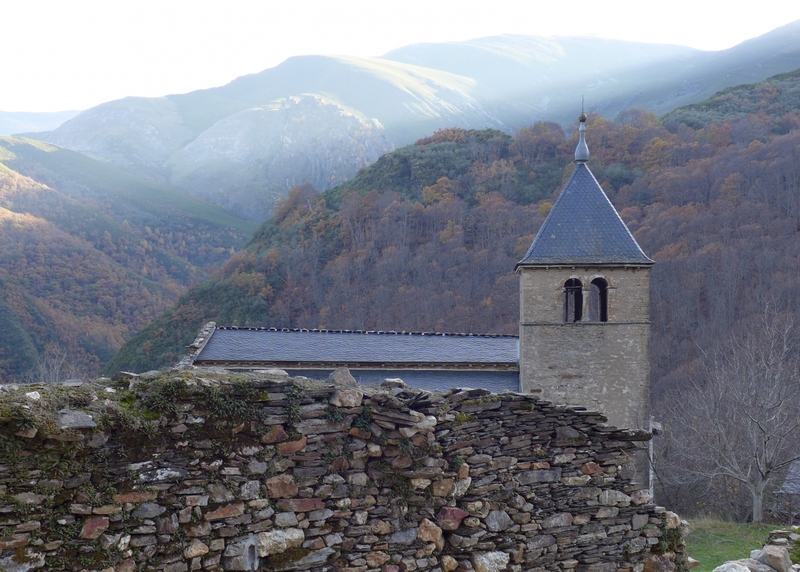 The rural communities of the Tebaida Leonesa, a rugged, mountainous area, originated in the seventh century. Since then, the valley has preserved its cultural, natural, and immaterial values as well as much of its exceptional medieval architecture. Now, the communities face the challenges of preserving the character of their villages and landscape in the face of growing tourism and development. Funds will be used to restore the original wall paintings of the Church of Santiago de Peñalba, a tenth century masterpiece of Mozarabic architecture. 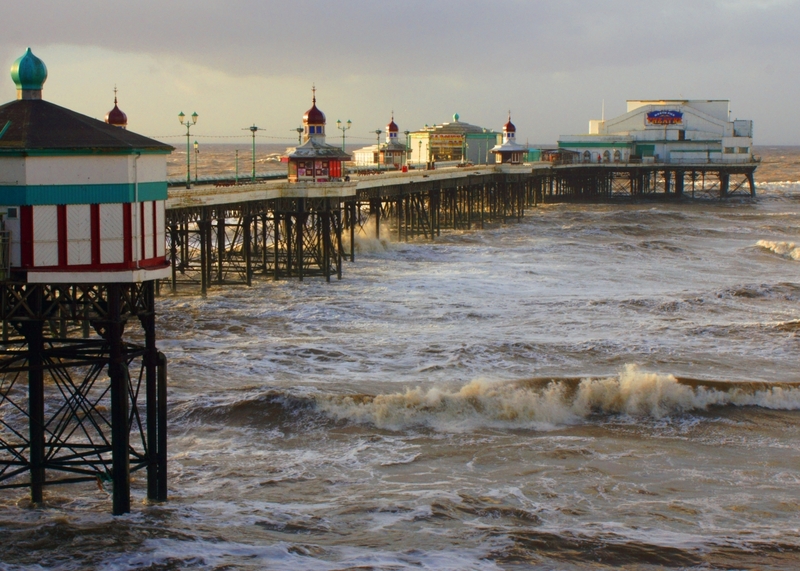 For more than a century, generations of working-class Britons have vacationed at Blackpool and visited its three iconic piers on the Irish Sea coast of England. Today, the piers are threatened by dangerous sea-level rise as a result of climate change. Privately owned, they are ineligible to receive public funding for rehabilitation. Funds will be used to facilitate expanded dialogue between local groups and the pier owners and explore new models for their rehabilitation. The dramatic cultural landscape, home to one of the world’s great rock art collections, marks critical stages in human history and evolution, reaching back 100,000 years. The World Heritage Site continues to be deeply associated with cultural and religious traditions. 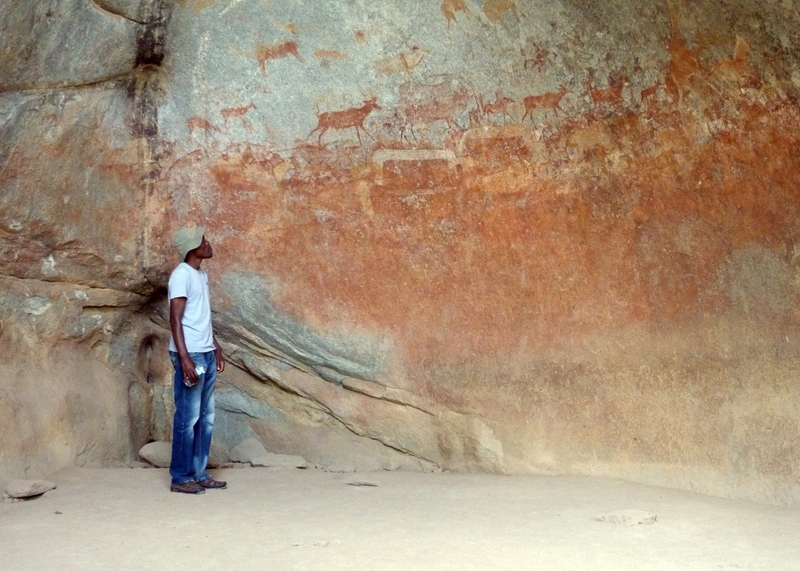 Today, its important rock art is threatened by deforestation, the risk of fires, and other human activities. Funds will be used to work with local heritage authorities on improved documentation and conservation plans at the site. Known for its unique hieroglyphic inscriptions, the sixth-century metropolis provides insight into the ancient Zapotec civilization. Fifteen structures were affected following a September 2017 earthquake, with five showing severe damage that requires emergency structural shoring to prevent collapse. Funds will be used for a project in partnership with INAH to address the long-term stability of Monte Albán, including physical conservation, documentation, and geological assessment. The program will also emphasize training and capacity building, giving local technicians the skills they need to effectively repair and prepare Monte Albán for future natural disasters. Visit www.wmf.org/2018watch to learn more. World Monuments Fund is the leading independent organization devoted to saving the world’s treasured places. For more than 50 years, working in over 100 countries, its highly skilled experts have applied proven and effective techniques to the preservation of important architectural and cultural heritage sites around the globe. Through partnerships with local communities, funders, and governments, WMF seeks to inspire an enduring commitment to stewardship for future generations. Headquartered in New York City, the organization has offices and affiliates worldwide. Visit www.wmf.org for more information, or connect with us on www.facebook.com/worldmonuments, www.twitter.com/worldmonuments, and instagram.com/worldmonumentsfund.